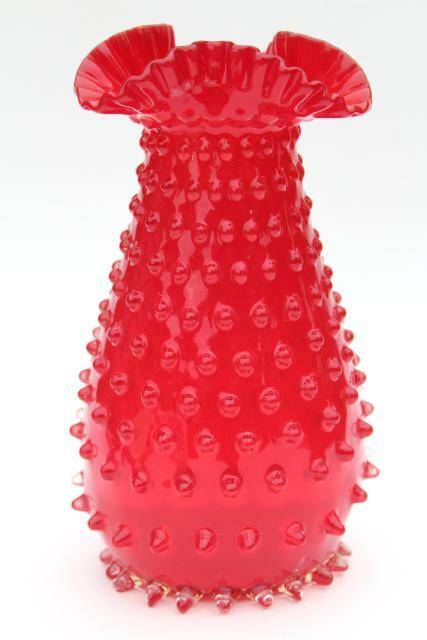 red hobnail glass vase, vintage hand blown art glass, vivid tomato red color! 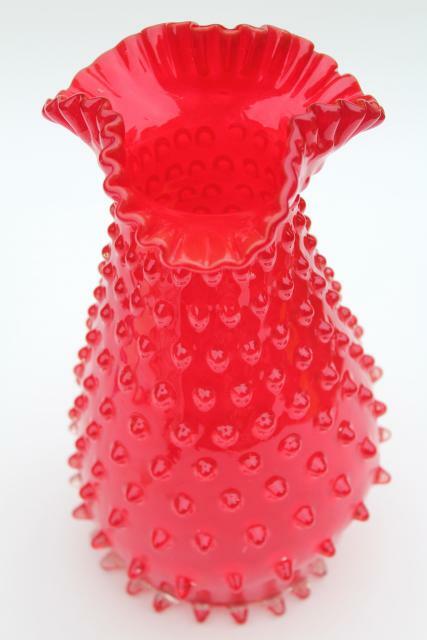 Mid-century vintage hand blown glass vase with hobnail pattern, crimped ruffled edge. This looks like West Virginia glass to us... Fenton? Blenko? Kanawha? It stands about 9" tall, and is in very good clean condition without damage. We love this warm red color!